Cleaning up trash along ditches and stream banks and taking part in community tree plantings are great ways to be an active watershed steward. 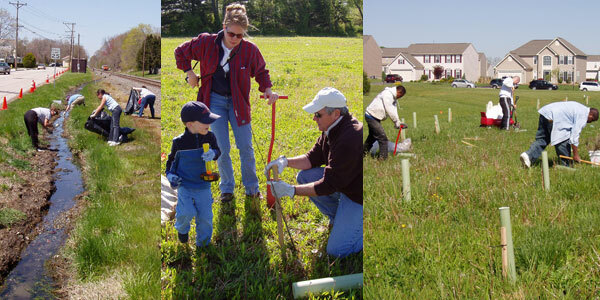 To volunteer in your community, contact your local watershed association. There are many simple practices that you, as a resident of your local watershed, can do to help improve your local waterways and minimize your negative impact on water quality. The following recommendations provide several ways YOU can help.